We are launching a new medical journal in order to enhance scientific communication among medical professionals all around the world: "Applied Medical Research (AMR)". We believe that medical education and training start when we start to graduate at Medical Faculty, and last till the death knock at our door. And the most important part of this period is "undergraduate period", of course. Almost every action/behavior that we are going to do during our medical life have been established and modified during this period. And also we believe that we behave during our medical life just as how we live in undergraduate period. Medical doctors are very curious, and they want always make scientific innovations during their graduate years and active working life. This new title would help build emerging fields of study, enhance communication within existing research communities, and stimulate creative discourse at disciplinary interfaces. It is clear that well-chosen, properly supported launches play a crucial role in the advancement of knowledge and global research. Our experience and excitement together with ScopeMed's technical background would improve AMR in a short time. Editorial Team. Applied Medical Research (AMR) is starting. Appl Med Res. 2015; 1(1): i-i. Editorial Team. Applied Medical Research (AMR) is starting. http://www.ejmamr.com/?mno=174914 [Access: April 26, 2019]. Editorial Team. Applied Medical Research (AMR) is starting. Appl Med Res. (2015), [cited April 26, 2019]; 1(1): i-i. Editorial Team (2015) Applied Medical Research (AMR) is starting. Appl Med Res, 1 (1), i-i. Editorial Team. 2015. Applied Medical Research (AMR) is starting. Applied Medical Research, 1 (1), i-i. Editorial Team. "Applied Medical Research (AMR) is starting." Applied Medical Research 1 (2015), i-i. Editorial Team. "Applied Medical Research (AMR) is starting." 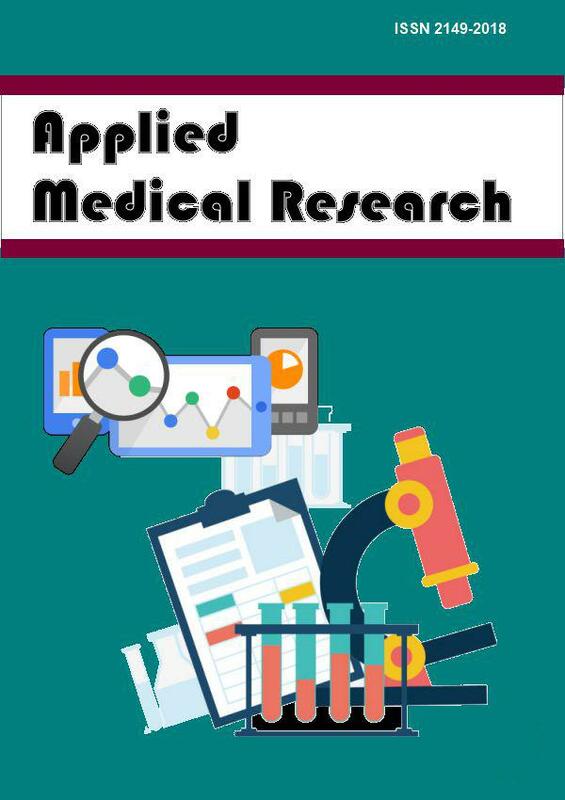 Applied Medical Research 1.1 (2015), i-i. Print. Editorial Team (2015) Applied Medical Research (AMR) is starting. Applied Medical Research, 1 (1), i-i. Appl Med Res. Year: 2015, Volume: 1, Issue: 1: i-i.